From folks who have traveled to some of the most awesome ocean shores around the world I have heard that the Oregon coast, our own local seaboard, is among the most beautiful on the planet. Today we spent the entire day in Cannon Beach. We enjoyed a few chilly but nearly wind free hours in the sand and also walked through the forests and rocky shores of Ecola State Park. 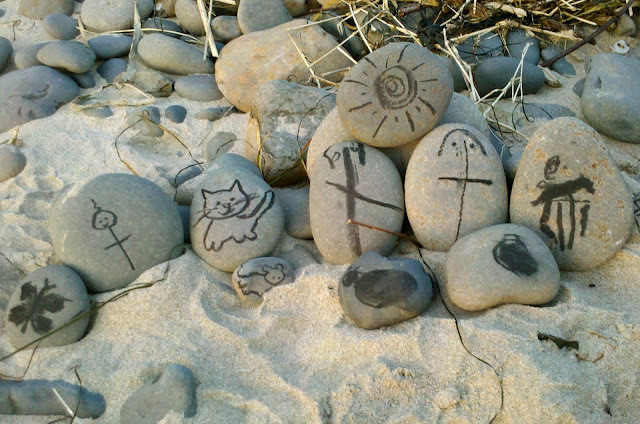 At Indian Beach, where we watched the sun set and ran from the incoming tide, we also found some small bits of charcoal and drew a little family on the stones to witness Father Sun with us as he dipped into the ocean and our glorious day drew to a close. When friends hold hands it just warms my heart. Before she begins she finds a special small object, usually a pretty stone and holds it secretly in one fist. Then holding both fists closed she taps one on top of the other, switching back and forth as she sings. At the end I then have to guess which hand holds the special stone. Whether I'm right or wrong, she giggles with glee at her game and wants to perform it many more times. Today in Portland we had a severe wind advisory. To a four year-year-old this just means a whole bunch of fun with the new pinwheel Oma and Opa gave her for Easter. The wind also seemed to have swept away the everlasting gray that has dominated so many of our days. About an hour after this photo, however, it did start to hail. On Earth Day last week we caught what we thought was going to be the last weekend of this year's spectacle but the Tulip Festival in Woodburn has been extended until May 8th! If you're in the Pacific Northwest you'll know it's been a wet, wet Spring thus far. Because of this the tulips got a late start but, as usual, now that they're here, they're bursting with all the Springtime glory that they're famous for. If you get the chance, this is definitely an outing I'd recommend for the whole family. It's a beautiful display of acres and acres of gorgeous tulips as well as some carnival type bouncy houses and rides for kids and, of course, the Cow Train! When we told Naiya we were going to the Tulip Festival, the Cow Train was all she wanted to talk about. 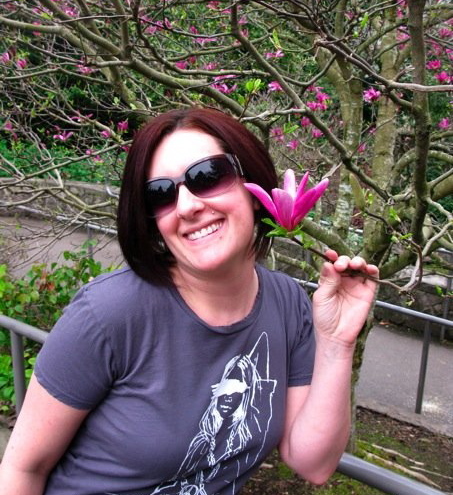 I, on the other hand, am just in it for the flowers. Despite all of our best efforts to keep the stuff in our house to a minimum, we have acquired, over the years, a grand collection of toys, books, hand made creations, stuffed animals and dolls and oodles and oodles of stones, pine cones, acorn caps and various other natural wonders as play things for our little girl. A few months back I attended a talk by Kim John Payne on the ideas from his book Simplicity Parenting. The basic premise of which is that in today's modern world our children are exposed to and overwhelmed by too much, too soon, too quickly and are given far too many choices. We agree, just by nature of the lives we have chosen to live, with nearly everything he says about protecting the environment of our child so that she may slowly and naturally become herself. 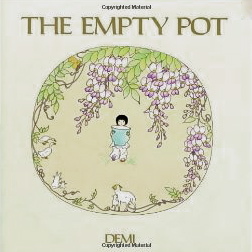 Kim's four key principles for simplifying are basically 1) Reduce the volume of toys, books and clutter (as well as general environmental sensory overload in the form of light and sound) in the child's environment 2) Establish rhythm to give children a consistent and predictable framework within which they can relax and feel at ease 3) Create intervals of calm and connection in the midst of chaos and doing and 4) Scale back on media and adult influence on children's play and consciousness. At some point when Kim was describing his approach to the first and most elementary step of reducing, he made mention of a Toy Library. He didn't go into specifics but based on basic library principles I took all the toys and playthings I've been rotating in and out of boxes in our attic for years and placed them up there neatly on shelves instead. Now, we're not excessive toy people. I honestly feel that we've made concerted effort to not have much to begin with. We have nearly gift-less birthdays and almost every holiday is based more on gathering and celebrating the love and presence of family and friends than on the exchange of material things, but I do love to make things and I think it's sweet that the grandparents just can't help themselves. The playthings that are just too much to fill the few baskets we have and to put away every day are, for the most part, things we like (or at least one of us is emotionally attached to). That's why we've kept them. What a gift then, this Toy Library has been. Using some bookshelves we recently acquired, we removed the toys, blocks, dolls and whatnot from boxes and instead displayed them much as they would be in a toy store. (Luckily, we have plenty of space in our attic for this but I suppose one could use a closet or other location instead.) We told Naiya about this new magical exhibition and when she saw it she was thrilled. The rule from day one was that she could have any toy she wanted from the library at any time as long as she replaced it with something from the bounty of items already in use in our home. On about the third day of Toy Library she did ask if it would be alright to exchange something of mine instead of something of hers but, although I was impressed with her crafty ingenuity, I quickly put the kibosh on that. Since then she has embraced the exchange absolutely. Our house maintains its number of play objects and Naiya's excitement over "new" things with which she can create and imagine her dozens of worlds and adventures is astonishing. Now, we don't deny our child candy, but we're pretty big on regulation of the sugar substance. Even when she pulls in a cache of the stuff for the candy holidays (Easter, Halloween, Valentine's Day, Christmas, etc.) we confiscate it and dole it out piece by piece. Usually after five days or so, our dear one forgets about the stockpile and mommy and daddy have to take care of it for her...if you know what I mean. And I really don't need to eat candy every day either. That's why, for a few years now, I've been trying to come up with candy substitutes, at least on the occasions over which I have some control. And the Easter Hare and I, well, we're good friends. I've got a lot of pull when it comes to this upcoming celebration. We've had talks about candy and there will be some for our lovely Naiya Sophia, but that Hare will have some other goodies to offer as well. These people are from PlanToys. The bunny is from Holztiger (which can be quite pricey), and the chick was, I think, locally made. I did these a few years ago with regular old acrylic paint and had turtles, bees, flowers, sunbursts, and sheep but these ladybugs (currently residing on our Nature Table) were all I could locate at the moment. Perhaps I ought to be embarrassed to admit that I still do not knit. These were all purchased at various fairs and crafty stores. For a tutorial on these click here. Additionally we have stuffed Easter Eggs (or other holiday vessels) with wooden bead bracelets and rings, fairy stickers, fancy bells, those little cut crystals that refract light and make rainbows in the morning light, dried fruit, polished stones, play dough, beeswax (molded into simple shapes by hand or with cookie cutters), silk scarves, hair clips and lip balm. I will admit that when Naiya does find the occasional egg with actual candy inside, she is quite, quite pleased. I would warn therefore to create with discretion. There's nothing that'll quell the desire to craft like the disappointed face of a beloved child upon discovering a darling trinket it took you hours to make. This is the lovely Sarah. Yesterday when I was in the laundry room adjacent to Sarah's apartment, Naiya came down and asked if she could check if Sarah was home. I gave her permission and she rounded the corner to knock on Sarah's door. I heard the tap, tap of those little knuckles and a few seconds later (no answer from Sarah) the hysterical cry of my daughter as she ran back into the laundry room and fell sobbing to the floor. "I HAVEN'T SEEN SARAH IN SOOOO LONG!! I LOVE HER SO MUCH!!! WHEN CAN I SEE SARAH AGAIN?!!?! IT'S BEEN SO, SO LONG!!! I LOVE HER SO!" It took me about three minutes to comfort Naiya with promises that we'd see Sarah tomorrow. Thankfully, our dear Sarah loves Naiya too. A few posts back I mentioned some of our favorite seasonal books by Cicely Mary Barker. At the moment we're thoroughly enjoying Flower Fairies of the Spring. I had also mentioned The Story of the Root Children by Sibylle von Olfers and the way the characters from that tale have dominated our Nature Table since before this particular season had even sprung. In celebration of what seems like an actual Spring day today (with, you know, real sunshine and outdoor play without four layers of clothing to keep ourselves warm), I'd like to share just a few more of our other seasonal favorites as well. 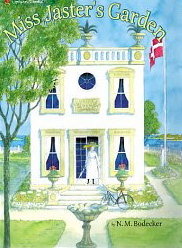 The first is Miss Jaster's Garden by N.M. Bodecker. This is a book I've had since I was a child. It tells a sweet and somewhat fanciful tale of a woman who resides in a villa by the sea and the hedgehog who lives in her garden. As the first blossoms bring joy to Miss Jaster, Hedgie the hedgehog unwittingly runs off with a patch of marigolds, baby's breath and sweet william. The illustrations (also by Bodecker) are lovingly detailed pencil drawings with soft water colors that delight both Naiya and I. 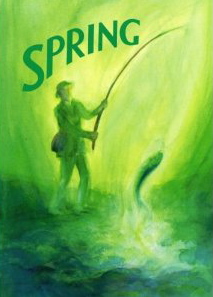 A book I recently acquired is Spring from Wynstones Press. 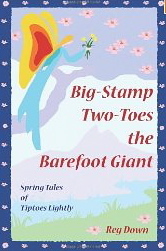 This is a collection of songs, stories and poems that I use a lot for story time and puppet shows as well as for singing transitions and small celebrations of moments in our days. It isn't illustrated but since it's contents are so simple, it is the source of much that I share with Naiya by heart (which is to say that I sort of "memorize" the material from this book and share it with my daughter without the actual anthology in hand). Lastly, in the Spring gardening theme, The Empty Pot by Demi is a really lovely Chinese tale involving the growing of flowers, an emperor, a poor boy and the noble virtue of simple truth. 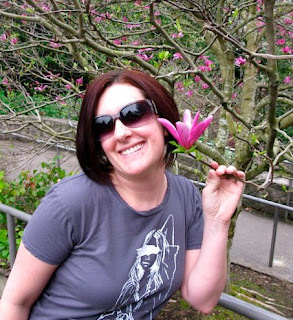 I'd be so pleased to hear about your Spring favorites! Please feel free to leave your front runners in the comments. I read and appreciate every comment left (even if I'm not so good at responding). I'll try to share any additional suggestions I receive or find before we transition into our Summer collection. I suppose it isn't exactly the right time of year for stars and lanterns, but I've got a paper folding fascination at the moment and so was drawn to a project I had wanted to do back in Autumn. During last lantern season I was looking everywhere for instructions to make these beautiful paper lanterns and couldn't find them anywhere. I ended up purchasing a lantern that was already made and since I've been struggling with some difficult folds and designs of other paper crafts, I decided to unfold the seemingly simple lantern I bought and figure the thing out for myself. Like all traditional origami, no glue or cutting (once the basic outside shape of the paper is made) are required. I feared that once I unfolded my lovely store-bought version I wouldn't be able to get it back together but thankfully it wasn't nearly as difficult as I assumed. We were driving to a restaurant this evening and Naiya, in typical four year old fashion, asked how long it would be until we got there. "About ten minutes," I told her. "Mommy, can you grab that restaurant and bring it closer so it won't take so long?" she inquired. I thought this such an intriguing idea that it took me a minute to answer. "You mean bring the restaurant to our home?" I finally asked. "Not into our house," she replied, "just closer." Before I could respond, she reconsidered. "No mommy, I don't think your arms are strong enough." Naiya has been making family portraits lately. This one is from the chalk board and only includes the parental units. She tells me I'm the one with the long hair. ...wall hangings or whatever. Felting is basically the process of binding together the microscopically barbed fibers of wool (or other natural fibers) into a solid mass. There are several methods to accomplish this irreversible process of making solid fabric from individual hairs. Dry felting uses a barbed needle to catch and entangle layers of fiber through repeated poking while wet felting employs friction and water (sometimes alternating hot and cold) to swell, intertwine and bind a jumble of strands together. Begin with pretty much any kind of natural fiber. Most felters use sheep's wool but goat (cashmere), alpaca, rabbit (angora), and even dog hair are viable options. If one is not harvesting from a pet or farm animal, already processed (cleaned, carded and combed) wool roving is probably the easiest fiber to find and work with and can be found (natural or dyed) at various craft and yarn shops or on-line. For making eggs, I began with natural and plant-dyed wool roving. Since the dyed roving is more expensive, I usually begin with the un-dyed as a base and then make only the outer layers in color. For making eggs one will also need little plastic eggs, tape, soap (any liquid or solid soap will do), a bowl of very hot water, a bowl of very cold water, a good work surface (that can get wet), a few towels and (optionally) a felting needle. These eggs will ultimately be hallow and the plastic egg will be removed. Should one wish to make a solid egg or other object, begin instead with a piece of roving tied in a knot to form a permanent core. The fiber is spread out a bit to loosen it and then wound around the egg in very thin layers. The layers ultimately bind best when several of them are laid across each other at right angles giving the scales of the fiber a good chance to interlock. The individual hairs of this particular roving were long and by carefully pulling them out and keeping them connected in a continuous strand, I was able to wrap the egg much like one would wind a ball of yarn. Wet the egg with water as hot as your hands can stand and lather a bit of soap (liquid drops or flakes from a solid) in your palms before gently pressing down the loose fibers. They may stick to your hands but persevere. Press and lightly squeeze the egg until the fibers stay in place. Once the fiber stays put, start rubbing very carefully. As the fibers begin to bind, pressure can be increased and hands will glide more and more easily over the egg. Passing the project back and forth between cold and hot water will help the fibers expand and contract and assist with the binding. The more solid (felted) the fibers become, the more vigorously one can massage the project. As far as the felting goes, that's pretty much it. It took about 15 or 20 minutes of rubbing and massaging to shrink the fiber down so that it clung very firmly to this egg and was quite solid. It was then rinsed and allowed to dry prior to cutting a slit to remove the egg. Should the inside of the egg have loose fibers, simply wet and soap up your hands again and gently massage the egg's inside area. The opening can be left as is but I like the finished look of the blanket stitch. 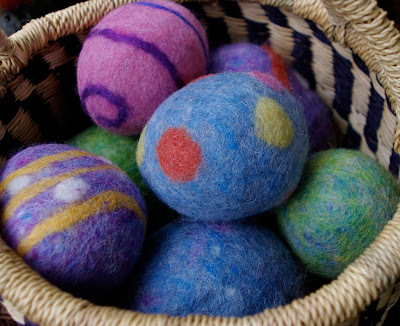 Most of the eggs (seen in the basket above) I decorated at this point with small bits of roving and a felting needle.